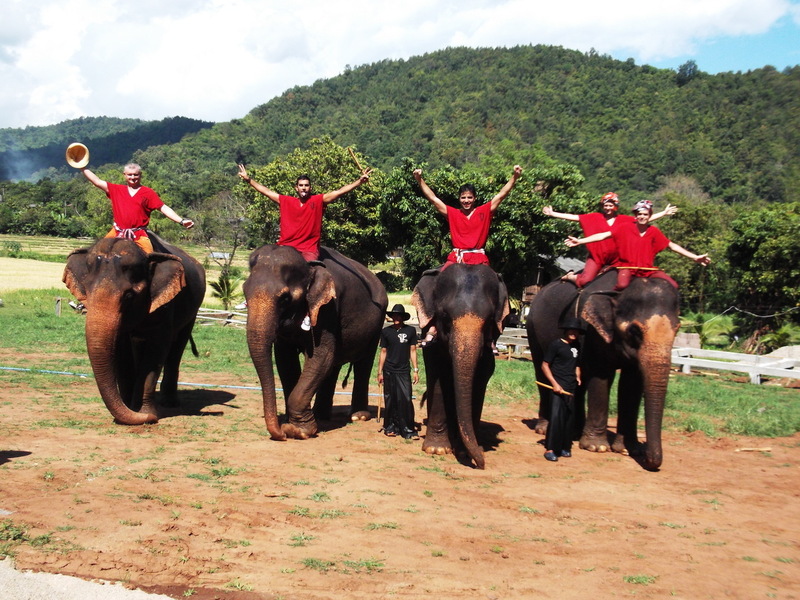 Despite being worn out from Elephant riding there was still more to do in Chiang Mai that afternoon. On Sundays they close some streets to traffic and have a large Market. This is mainly a bric a brac market with handicrafts and trinkets and clothes and such. You see similar in many parts of the world but this was huge in scale. In fact if you frequent these types of markets, certainly in Australia, what is on sale is very familiar, but also very cheap. There are also plenty of food stalls and massage beds set up. Thai food stalls - without crowds! Lady's clothing stall. I wanted to buy one cos they just looked so nice. So I hobbled up to the markets as I now had sore thighs from Elephant riding and a broken toe. I wandered around and had some nibbles and took in the sights. I didn't buy anything, but if ever you are in Thailand and Chiang Mai is at the end of your trip it is the place to spend the last of your Thai Baht on goodies to take home. Note: Sunday walking street in Chiang Mai. The rain came down and the streets magically cleared. Time for a beer I thought but everyone else had the same idea and instead I explored Wat Phantao which has relics of the Lord Buddha. It is a fabulous temple, visually appealing and I am sure a religious experience to Buddhists. The Bludger did go out after that and have a massage but for me the day was basically ended.